If you are experiencing stomach upset or discomfort, you may have a sour stomach. This is a common problem many people encounter when they have too much hydrochloric acid in their stoamch. Symptoms can include mild cramping, nausea and vomiting. Instead of taking a medication to relieve the problem, try a natural remedy for sour stomach. Drink a cup of ginger tea. It is an excellent herbal remedy for an upset stomach and can be used during pregnancy. To prepare a cup of ginger tea, pour 1 cup of boiling water over 3/4 teaspoon of ginger root (small, thin pieces), cover and steep for five minutes. Drink a cup of chamomile tea. To prepare a cup of chamomile tea, pour 1 cup of boiling water over 1 teaspoon of dried chamomile flowers, cover and steep for 5-10 minutes. Drink a cup of peppermint tea. To prepare a cup of peppermint tea, pour 1 cup of boiling water over 2 tablespoons of dried peppermint leaves, cover and steep for 10 minutes. Meadowsweet, fennel, licorice and oregano teas can also soothe a sour stomach. Add a teaspoon of baking soda into a glass of water, stir and drink. Drink a glass of hot water with freshly squeezed lemon juice. This remedy is especially helpful before eating because it helps neutralize excess acid. Add 1/2 teaspoon of baking soda and 1 teaspoon of lemon juice to a glass of cool water, mix and drink quickly. Drink a glass of aloe vera juice to soothe an upset stomach. Chew on a few cardamom seeds, caraway seeds or anise seeds. Not only will these seeds help treat your problem, they will freshen your breath. Mix 2 teaspoons of apple cider vinegar and 1 tablespoon of honey in a glass of hot water and drink. 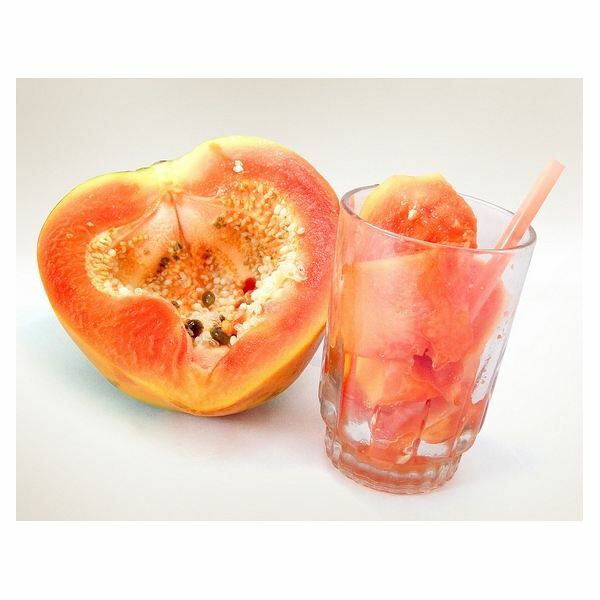 Eat some fresh papaya or drink papaya juice. Papaya contains a powerful digestive enzyme called papain which can help combat indigestion. Drink some carrot juice and chew on some fennel seeds. Another helpful remedy for sour stomach is massage. Mix 10 drops of peppermint essential oil with 1 ounce of carrier oil (sweet almond oil, grapeseed oil, coconut oil, apricot oil or jojoba oil). Place 1/2 to 1 teaspoonful of the mixture onto your stomach and massage in a clockwise direction. Do this two to three times a day.